GRRL FEST will be back in 2017! More details announced very soon – stay up to date on our Facebook and Instagram! 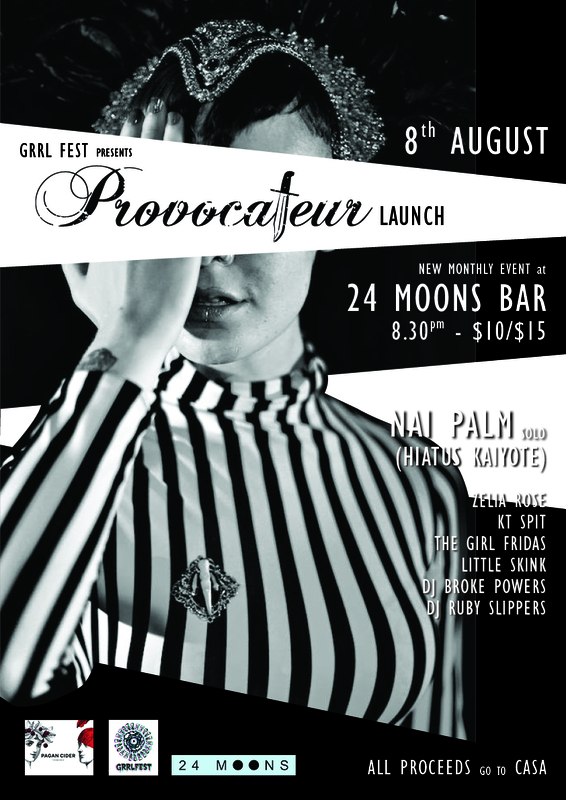 Each month Grrl Fest will team up with Melbourne’s finest to bring you a provocative night of performance, music, art and wild wayward women who challenge the status quo. *Also important note: The venue 24 Moons is not wheelchair accessible. I sincerely apologise to anyone affected by this and I am trying to work with the venue to change this. Thanks to our sponsor Pagan Cider!